Dhahran International Airport (IATA: DHA, ICAO: OEDR) in Dhahran formerly served the Ash Sharqiyah Province (Eastern Province) in Saudi Arabia. In 1999, after the opening of King Fahd International Airport, all scheduled flights were shifted out of Dhahran and the airport now serves as the King Abdulaziz Air Base of the Royal Saudi Air Force. It is one of the architectural works of Minoru Yamasaki, and was completed in 1961. 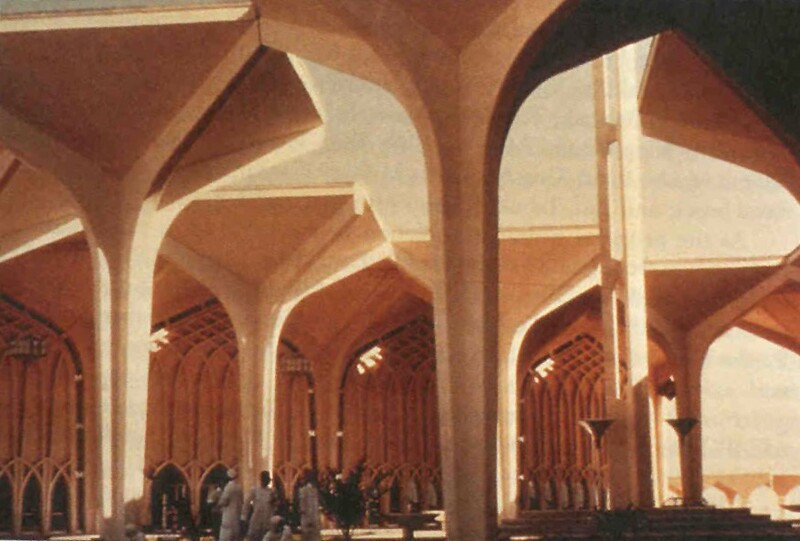 The architecture is a blending of traditional islamic forms with modern technology, for example the flight control tower has the appearance of a minaret. Images of the terminal have been used on Saudi banknotes. The terminal is viewed as having influenced the design of a number of important buildings throughout the Middle East. CAUTION Ints stu jet flying. RSTD All RON aircrews will clear CSTMS and IMG before going to billeting. PPR rqr for civ ops (Fone C03-864-4608).